With CRD14 Cafe Racer came a new turning point in the history of Cafe Racer Dreams, a before and after not only in the trajectory of CRD but in all manufacturers of custom bikes. 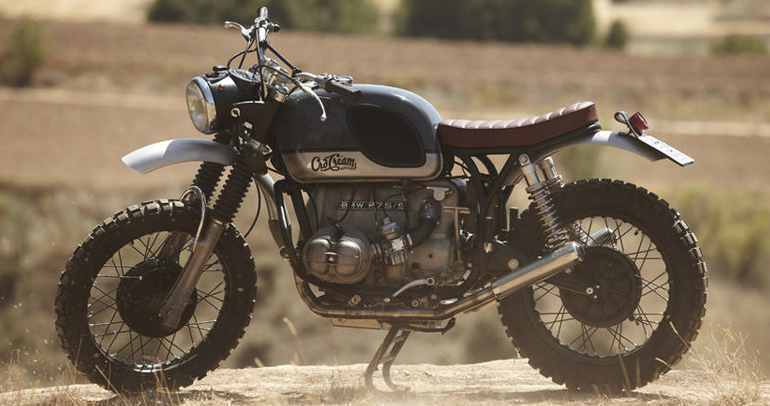 With this bike the Cafe Racer Dreams team faced a whole challenge (hence its name): to build our first BMW. Up until now, boxer engines were the exclusive territory of the most ‘purists’ and hardly anyone dared to ‘get their hands on’, much less make a customization. A double challenge was overcome: building (successfully) a first BMW and breaking into the French scene with our first Parisian bike. 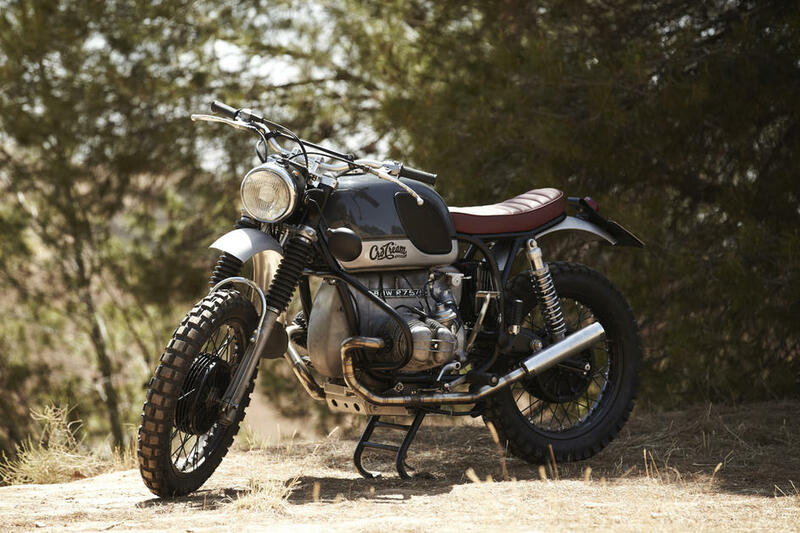 The initial idea for CRD14 Cafe Racer was to make a classic scrambler with this BMW R75 / 5 origin. For this we counted on the help of Javier, MaxBoxer, specialist in BMW’s that rehízo the motor and located all the pieces that we needed. It was also our first collaboration with GR escapes. And it also has Nitro Hagon Shocks, fresh front suspension, fully revised engine. The subchassis of this first BMW was developed by one of the two brothers engineers who today are known for being behind the Bultaco Electric project: Raúl Pérez, member of LGN Tech Design. We use handcrafted aluminum fenders and a rider who remembers classic enduro bikes giving it that look that is perfect for both land and city. You can also read the great article that Bike Exif dedicated to this bike here.